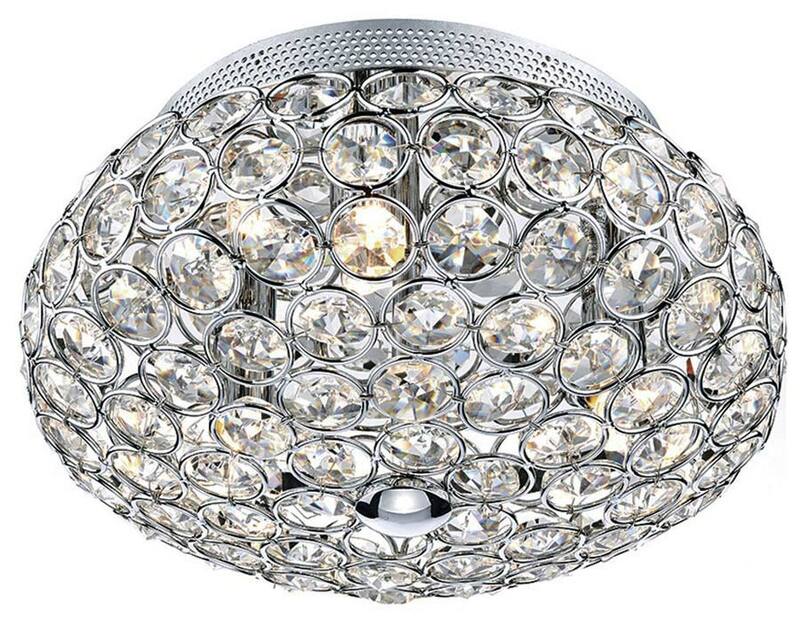 A stunning small three-light flush ceiling fitting, with a 25cm diameter flush chromed metal cage formed from masses of circles, each embossed with faceted crystal glass buttons for a wonderful lighting effect. The three lamps drop through the center of the shade on chrome rods and are encased by the crystal buttons that will sparkle and dance when illuminated. The perfect ceiling light for that bright and airy lounge, dining room or bedroom with limited ceiling height, to add sparkle and style. Other products in the contemporary Frost range can be viewed below and include a larger flush fitting ceiling light, table light, pendant lights and matching switched wall lights.